Today is a new day, full of opportunity, adventures & experiences. 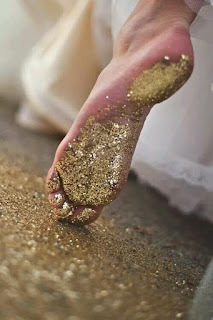 Make the decision, to step into your day with a dash of "I Can", & a sprinkle of "I will" beneath each step, leaving a sparkling footprint behind you. You will be amazed at how simply starting the day, with making the decision to have a good one, will alter your actions towards the days adventures. So go ahead & flick that "I Can" & "I Will" switch in your mind set, & watch the trail of glitter you leave all over your Tuesday! Incase nobody has told you lately, I would like to remind you of the fact that, you can do it, you will achieve it, & you do deserve it!